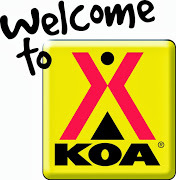 Fort Collins KOA Lakeside Resort invites you to visit the city that Money Magazine recently designated as the best place in the United States to live. Locally owned and operated since 2006, we are situated near the foothills of the Colorado Rocky Mountains and offer a variety of camping opportunities for those eager to visit one of the most beautiful parts of the country. Our campground is open all year and surrounds a ten-acre lake with catch-and-release fishing, paddle boats, and a fitness trail. We have a beautiful mini-golf course, swimming pool, bumper boats, a jumping pillow, and a video arcade that are open from Memorial Day through Labor Day.